And that advertisement is accurate. There is built-in GPS in the 8830. It's used for 911 services. Nowhere in the advertisement does Verizon indicate that the GPS can be used for any other purpose, including navigation assistance. Additionally, the ad indicates "Coming soon", which means that the ad ran before the product was introduced to market. It's very common for released products to have different featuresets than originally planned. You can keep trying, but you're not likely to find any "proof" that Verizon misled or defrauded the public. Take your class-action crap somewhere else. Nothing to see here. Last edited by penguin3107 : 07-21-2007 at 08:14 AM. BFEINZIMER: I too am extremely disappointed in the lack of GPS and share your pain, I must however, agree with penguin3107. I let it go about a month ago and find myself getting much better sleep at night now. I agree w/ Penguin3107, that's not going to get a class action as there will be little to no way to prove people saw that or were told anything other than Emergency GPS services. Although I think the above might be usable by current customers when and if VZW releases VZNavigator for some free months of service... or something. Probably, but don't expect it to be free. I'm sure this was Verizon's plan all along. All of the other phones on the page also have GPS - for Emergency Services. But none of them have the GPS pointed out like the 8830. It would appear (at least in this ad) that VZW was attempting to point out something other than an Emergency Services GPS. Lighten up, Penguin3107. While I agree that there's no fraud, we're still entitled to be irritated that there's a significant function built into the 8830 that we can't use. Besides, you're not even a Verizon customer, so why all the angst? ^^^ What he said. You guys can turn this every which way you want to make it seem like Verizon is not going anything wrong. These endless threads about this is proof positive that people are not happy and want to push this as far as possible. Maybe if more people contacted Consumer Advocate Agencies or places of media coverage about this problem along with the FTC we'd see some action taken on this. Last edited by JRSCCivic98 : 07-21-2007 at 10:10 AM. You're entitled to be irritated whenever you want. But that's not the point of this thread, is it? 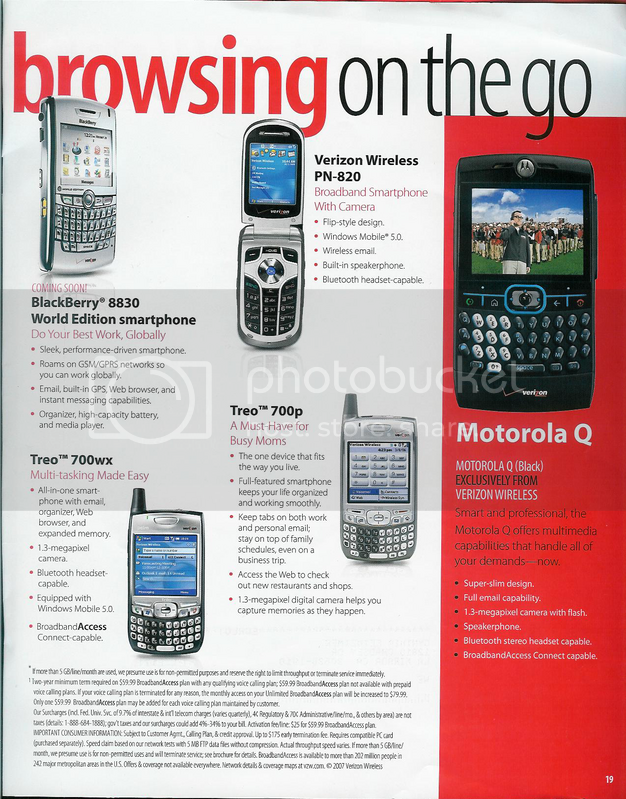 The OP clearly stated that this is PROOF that Verizon is advertising fully functional GPS in the 8830, and could be used in a class-action lawsuit. It's simply not proof of anything, and this is far from a litigous issue. The ad is pre-prerelease advertisement, which has absolutely zero legal binding. My angst with this topic has more to do with this forum being flooded topics such as these, which all say the exact same thing. There's no need to start more duplicate topics which only end up as flame wars. 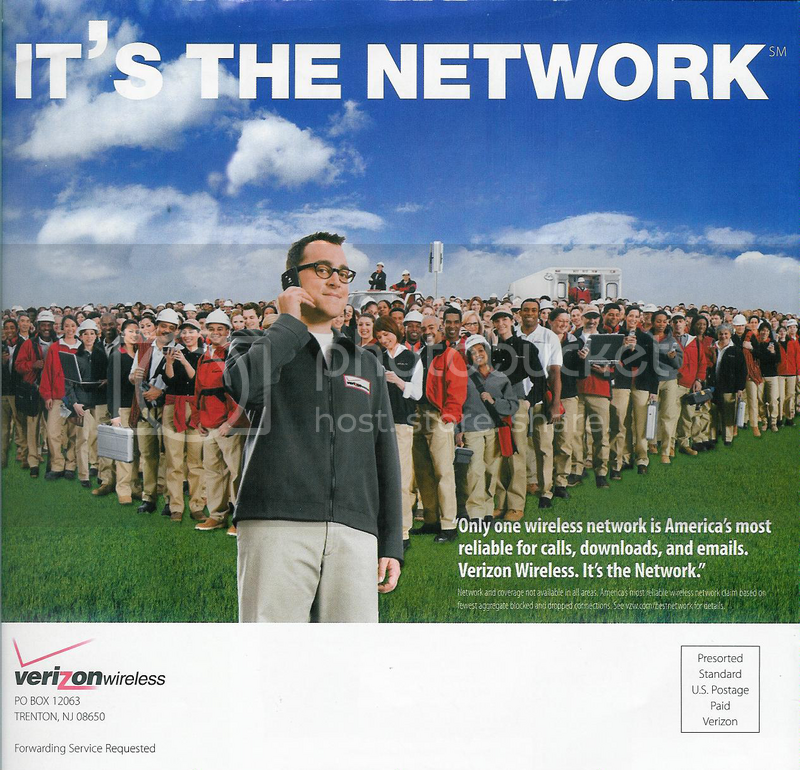 I support an enterprise wireless network of over 100 Verizon BlackBerry devices... several of which are 8830 handhelds. I don't need to use the device personally in order to be familiar with the GPS "controversy" regarding the 8830. I may not agree with Verizon's decision to cripple GPS... but what bothers me even more are the crybabies and whiners who think they can change the world with threats of class-action lawsuits which, in the end, only result in the lining of the pockets of lawyers who could not care less about your personal plight. The bottom line is that people who bought the 8830 with the intention of using it for GPS navigation simply didn't do their due diligence in making sure the device suited their needs before they purchased. Caveat emptor. This topic has been discussed to death and it's simply time for people to move on. Go with another carrier and another device if you need fully-functional GPS. Ok first, they put the ad they it has a functioning GPS, the law states all phones must be capable of doing E911 so why would they put that as a highlighted feature? Plus, I was just addressing the fact that something like this might result in a class action. Remember the v710? I'm not an idiot, I've had Verizon for years and delt with their crap. This was just so people who said that Verizon never claimed a GPS could be proved wrong. (In the nicest manner) This is the only topic of its kind. Check out my history on HowardForums and see what I've done before. I was involved in the Moto v710 suit. I got cash back from that, and now look, the phones can do a little bit more with their Bluetooth, so it does result in something. Again, this is the only topic of its type. That's BS man and if you think about it for a sec you'd realize that it's just as trivial to think that by doing this it'll change Verizon's way of doing business. If you think everyone making threats of lawsuits and complaining to media/legal resources about the problem is a trivial way of getting Verizon to change their tactics on the matter so is your way of thinking. Changing to another carrier isn't going to cripple VZW's cashflow enough to do squat. Even if you took everyone that bought an 8830 and moved them to a new carrier it wouldn't do squat. Yeah, your idea is just as trivial. Also, honestly, if a class action lawsuit forced VZW to enable the GPS to full functionality I could care less who's pockets got lined, because unfortunatly we live in a country where unless you have a lot of money, the average joe needs to escalate their lawsuits to "class action" status in order to be able to get the lawsuit financed enough to stand against the big dogs. And the more of these threads we have with various points and documentation being shown the better. It shows that people want this to change. One big thread burried in the GPS Forums (idiot move BTW) is not the way to get viewable traffic on this. Frankly, the ad says "Built-in GPS". And nothing more. And it isn't a lie either as the phone does have GPS, built-in. Just because you can't do with the GPS what you'd like to do with it, doesn't mean VZW is lying. Although Penguin is being a little difficult, I can't say I disagree. If GPS is such an important feature, why not take an extra 2 minutes with the rep to verify that both the GPS hardware and software necessary to conduct the important GPS tasks you need, are available? You can't rely on a print ad all the time you have to do a little bit of work for yourself. Most of these ads have a "Not responsible for typographical errors" footnote somewhere anyway. Bottom line. If there is a product feature that is a requirement for you, might be a good idea to see if the product has that feature BEFORE you buy it. Not after. And as always, get it in writing. We can argue semantics. After reading your posts, it is my perception that you are much more knowledgeable than the average consumer which would be me. If you are providing a feature and it is your top of the line device at the time, it is my expectation that it would be available. It is not as if, they have an 8840 model which does have the service enabled. That's the whole point. The "product" as release by "RIM" does have this feature. The "product" as "resold" by "Verizon and ONLY Verizon" does not have this feature. Not only that, but every single freaking Blackberry that has GPS built in and sold by Verizon has had it's GPS disabled. How is this "alright" by everyone's standards? Someone explain that to me? I think you all are just brainwashed. BTW, ABC Car Dealership has a brand spanking new BMW530 with factory cruise control to sell you.... unfortunatly they've disabled the cruise control until they feel like they can charge you to use it. Would you agree with something like this? I didn't think so. So I guess I agree with you about some of these people trying to blame Verizon for their own lack of due diligence. However, when I see the (numerous) threads complaining about Verizon and GPS, I simply don't click on the thread; the only reason I clicked on this one was the "proof" issue (which turned out to be less than compelling). You, on the other hand, take a different (and MUCH more time-consuming) approach. I still don't get it - but it's your time, not mine, so I suppose I don't have to. When did you buy yours? I bought mine when it first came out for business customers. The GPS issue was not discovered yet. Not only that, but you've got VZW sending out 8830s to publishing reviewers (see my link above) with WORKING GPS. That's some shady isht in my book.